Barry Sanderson Managing Director and Rebecca Sanderson, Transport Manager of RJS Logistics, Brierley Hill, West Midlands have chosen Scania Insurance to provide important cover for their vehicle fleet following a courtesy call from Keltruck Telemarketing Executive Tracey Banks with news about the Scania Insurance product. Family firm RJS Logistics have been in business for over 14 years, headed up by Managing Director Barry Sanderson and Transport Manager, Rebecca Sanderson who operate their vehicles out of Acerinox UK Ltd at Darlaston, West Midlands, supplying vital logistical support to the steel industry. ”We have worked closely with RJS Logistics providing vehicles and services for the past decade, they frequent our local branches for mandatory vehicle inspections and servicing. It was perfect timing when we put a call through to them and offered our arrangement with Scania Insurance as they were close to their renewal date. All businesses have vulnerable moments; even when you’re doing your best; you have to be prepared for the worst. In the transport industry, losing a vehicle or a key employee brings extra burdens that a business may not be able to afford. Keltruck launched their arrangement with Scania Insurance two years ago offering truck insurance together with a wide range of other essential business-related covers such as property and liability insurance. Cover through Scania Insurance is available to owner-drivers right up to major fleet operators and caters for Scania and non Scania vehicles alike. That means with Scania Insurance all your trucks can be covered under the one fleet policy. 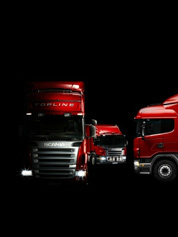 Scania Insurance welcomes all enquiries, follow www.keltruck.com/insurance for more information.